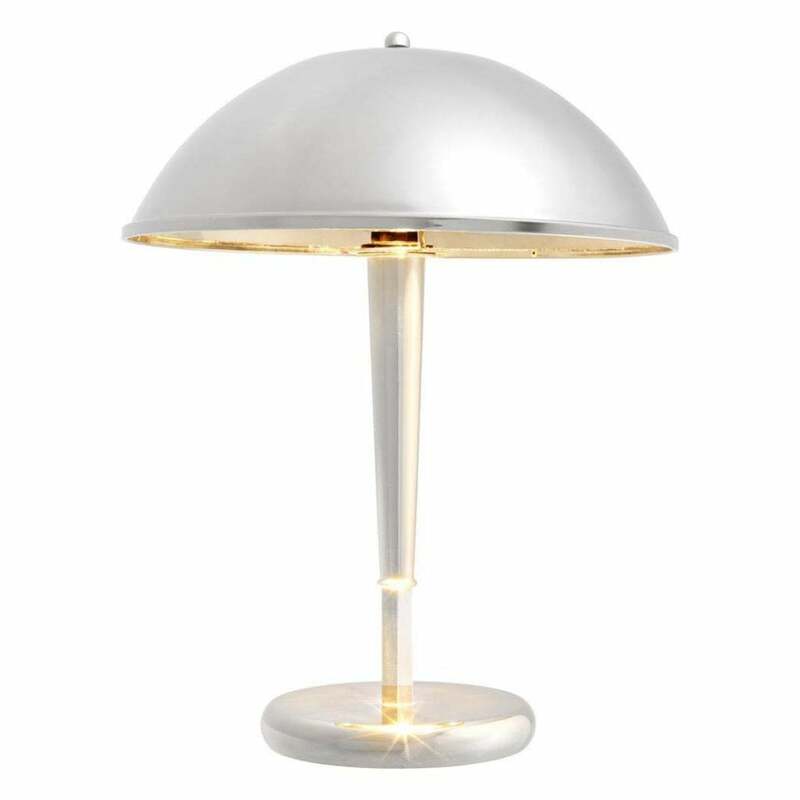 Inspired by lamps from the Art Deco era, this modern reinterpretation features a polished dome shade and elegant base. Crafted from the highest-quality materials, the Gino Table Lamp from Eichholtz is entirely finished in silver nickel. A must-have piece for any Art Deco design lover, the Gino Table Lamp will add a sophisticated ambience to a living room space. Alternatively, use as a office lamp or either side of a your bed for a statement look. Pair with plush fabrics and dark wood finishes for a vintage vibe or place in a pure white interior for cool contemporary style. Make an enquiry for more information.